The Foundry LIC absolutely oozes with urban character from the brick arches to the round windows above the indoor ceremony space. It’s the perfect venue for couples planning a modern or urban style of wedding. The outdoor courtyard has a stunning view of the Brooklyn bridge, as well as the surrounding vine-covered red brick buildings. Although the blank canvas of the site is obviously industrial, but couples can also customize it to fit their own style. Decor touches like draping, lights, and florals, can warm up the space and lend a more classic wedding look. The outdoor courtyard is included in the rental. There is space for 125 seated guests indoors, or 165 seated in the courtyard (tent is available). The smaller greenhouse room has a beautiful glass ceiling and vines growing along the walls for the feel of an urban garden. The Alba Room and Pool Room have their own styles and make great lounge spaces. A full kitchen is available for your caterers’ use, and three venue staff are present throughout your event to ensure that everything goes smoothly. Reviews for the venue include works like “magical”, “in awe”, and “blown away”. There is no doubt that your guests will be impressed by this unique space. Each individual room, corridor, and corner has its own potential as a photo op. From the outdoor spaces with great light and greenery, to the arched alcoves lining the main indoor space, to the mezzanine overlooking the dance floor. Your photos will have the modern energy and movement that you only get from a venue like this one. 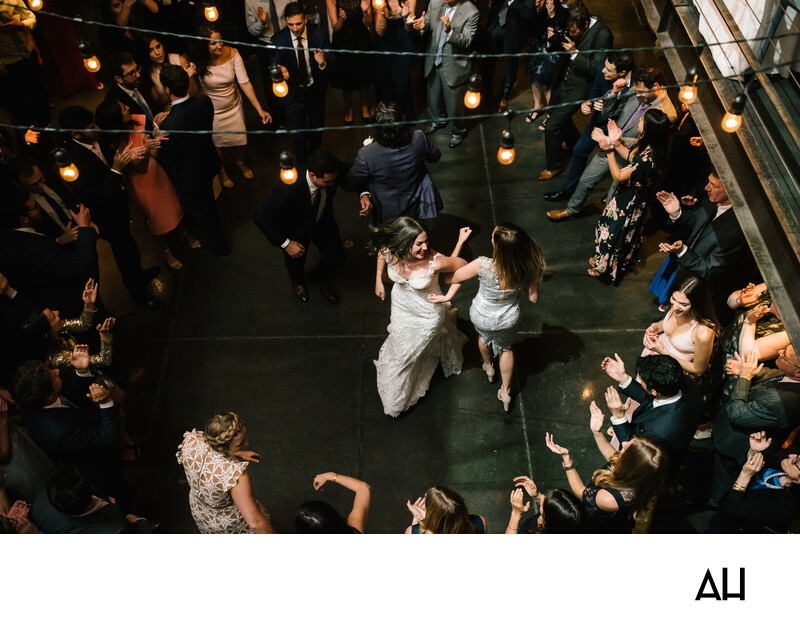 Consider having your wedding ceremony and reception at The Foundry LIC if you are willing to work with the space’s eccentricities and want your guests to enjoy a party they’ll be talking about for years.